In the latest Lettre du Médiateur National de l’Energie of April 2019, Alexandre responded to the questions of the French national energy Ombudsman, and shared his views about recent consumer ADR developments in France and the upcoming challenges. Full interview (in French) available here: https://www.energie-mediateur.fr/wp-content/uploads/2019/03/lettre-mediateurn35.pdf. On 18-19 March 2019, Xandra, Emma and Alexandre participated in the ADR/ODR conference organised at Wolfson College, Oxford. The event gathered key stakeholders of the European ADR/ODR community, including representatives of several EU ombudsmen, academics and policy experts. Alexandre presented the latest developments on ADR in France. Xandra and Alexandre took part in a panel on policy and research issues, focusing among others on the interaction between courts and ADR/ODR and strenghtening of the quality of consumer ADR. 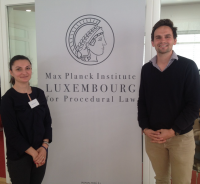 On 12 March 2019, Georgia Antonopoulou presented at the Max Planck Guest Forum her research on European international commercial courts. The Guest Forum at the Max Planck Institute for International, European and Regulatory Procedural Law offers guests the opportunity to present their current research and discuss their ideas with other guests and researchers of the Institute. During her presentation, Georgia focused on the recently established Netherlands Commercial Court (NCC) and the anticipated German Chambers for International Commercial Disputes (Kammern für Internationale Handelssachen). She presented the provisions regulating the jurisdiction of these courts aiming to assess how accessible they are to interested parties. On 25 February, Erlis Themeli participated in the “Graduate Law and Artificial Intelligence Conference" organised by the Cyberjustice Laboratory of the Montreal University in Canada. The Conference was intended as outlet platform for young researchers and as an opportunity to discuss on the use of artificial intelligence in fostering empowerment. Erlis presented a paper on how the rights of court-users may be affected by the use of artificial intelligence in courts. This paper is co-authored by Stefan Philipsen from the Utrecht University and serves to complete the theoretical framework of an empirical research conducted in collaboration with colleagues from the Rotterdam School of Management, the Erasmus School of Law, and the Utrecht University. The aim of the study is to better understand the reaction of court-users when facing a non-human judge. On 2 and 3 May 2019, academics, IT and legal professionals will meet in Lisbon to discuss how to improve the collaboration between these communities in cross-border civil procedures. During this two-day conference, participants will be asked to reflect on issues that currently complicate the cooperation, but are also invited to share ideas on possible solutions. The goal of the conference is to identify the issues at stake, to learn of diverging approaches on citizen-centered cross-border justice and to find means to jointly deploy these approaches to bring justice closer to citizens. The full program will be published shortly. You can pre-register here. The event is organised by the e-CODEX Plus project in cooperation with the ‘Building EU Civil Justice’ project run by the Erasmus School of Law of the Erasmus University in Rotterdam. On 25-26 February 2019, the last joint meeting of the Steering Committee, the overarching Working Group on Structure, the co-reporters of the other working groups and the institutional observers of the ELI-Unidroit project on European Rules of Civil Procedure took place in Rome. Xandra Kramer presented the progress of the WG on Structure and the new consolidated draft rules, followed by a fruitful discussion between the present members of the working group and the participants. The latest drafts of the three last ongoing working groups were also presented and discussed. The consolidated draft will be completed this year and is scheduled for adoption early next year. The ELI-Unidroit European Rules of Civil Procedure will be a model law on civil procedure for Europe. 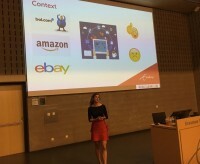 During the guest lecture ‘International commercial courts in Europe: Tips and tricks to go viral’ Georgia Antonopoulou and Erlis Themeli asked the master students of the Private Law master program of the Erasmus School of Law to prepare a pitch and a logo promoting the Netherlands Commercial Court (NCC), which just opened its doors in January 2019. In the shadow of Brexit, EU Member States increasingly establish international commercial courts aspiring to attract cross-border disputes often resolved before the London Commercial Court. In their assignments, the students had to highlight the strengths of the NCC in comparison to similar international commercial courts in Europe. The students actively promoted the new court and translated its pros and innovative features in a short pitch and logo. Interestingly enough, few students questioned the need to advertise courts and claimed that justice is a public service that should not be approached from a market perspective. In the end the students voted in favour of Dorian Acoca. Acoca’s pitch was the most persuasive and his logo was the most eye-catching. Now, it is the time for Dorian and his logo to go viral just as the courts. Well done! On 6-7 February, Alexandre presented the EU toolbox for consumer law enforcement (with a special focus on ADR/ODR and collective redress) to 40 European judges and prosecutors, as part of the training programme "Consumer protection and the role of the national judge" organised by the European Judicial Training Network (EJTN) at the Slovak Judicial Academy in Omšenie. On 28 and 29 January, Erlis Themeli participated in the International Seminar “Algorithmisation of Dispute Resolution" organised by the Vilnius University and Vrije Universiteit Brussel in Vilnius, Lithuania. The Seminar was intended as a discussion platform on the use of artificial intelligence in dispute resolution. Erlis presented some preliminary findings from his empirical study on the perception of an AI-judge by court-users. This study, which is part of his research on the digitisation of justice, is conducted in collaboration with colleagues from the Rotterdam School of Management, the Erasmus School of Law, and the Utrecht University. The aim of the study is to better understand the reaction of court-users when facing a non-human judge. On January 10 and 11, Jos Hoevenaars joined the community of legal sociologists in the Netherlands and Belgium for the Annual Conference of the VSR (Dutch/Belgian Sociology of Law Society) at Schiermonnikoog, the Netherlands. The theme of the conference was 'Shifting Powers', and Jos was invited to present his work on the ECJ and the strategic use of the preliminary reference procedure on a panel about Diversity and Claims-making organized by Professor Betty de Hart and Iris Sportel. His contribution focused on a case study around national actors that mobilized EU rules and jurisprudence from the Court of Justice to challenge a Dutch policy of increased fees for residence permits. (Happy) New Year - New Court! The 1st of January 2019 marked the coming into being of the Netherlands Commercial Court (NCC). After intensive discussions the establishment of the NCC was proved by the Dutch Senate (Tweede Kamer) on 11 December 2018. We have reported on the most important parliamentary procedures in previous posts. As expected the court and its staff are ready to begin their work, supported by a dedicated website – there is even a new promotional video – a Twitter, and a LinkedIn account. Information at the website of the judiciary in Dutch is available here and in English here. The NCC and other similar courts will be on focus in a special issue of the Erasmus Law Review and a book dedicated to the international business courts, which will be published this year. Georgia Antonopoulou, Alexandre Biard and Erlis Themeli will contribute to these publications, while Xandra Kramer will be one of the editors (in collaboration with Advisory Board member John Sorabji). With this first news item, we would like to wish all of our readers, friends, and colleagues an inspiring and happy 2019! 2018 has come to an end. It was the first full year of our ERC project and it has been a very intensive, fruitful, learningful and rich year. Jos and Erlis defended their PhD theses. Emma and Georgia completed their first year of Erasmus Graduate School of Law. All six of us have presented our work in different countries and in different settings, moderated panels, published papers and blogs, taught courses and master classes, and participated in many interesting events. Our highlights were the two events we organized in Rotterdam. On 10 July the seminar on Innovating International Business Courts, in collaboration with the Max Planck Institute Luxembourg and the Montaigne Institute of Utrecht University. We are happy and excited that the proposal on the Netherlands Commercial Court was finally adopted by the Senate on 11 December 2018. The ERC Conference Challenge Accepted! 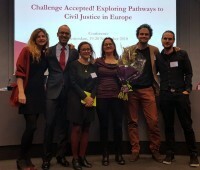 Pathways to Civil Justice in Europe, covering all four subtopics of our project took place on 19 and 20 November 2018. In the morning of the 19th we presented our work and discussed the progress with our Advisory Board. Our team devoted a lot of time, energy, passion and joy to organizing these two successful events. Thank you dear colleagues, friends, collaborators, participants in our events, advisory board members and our fantastic student assistant Kyra, for helping us in unraveling and connecting different pathways to achieve a sustainable civil justice system. Dear fellow ERC groupies, thank you so much for all your wonderful work for our project, and for enriching me with all your multifaceted talents, intelligence, insights, wisdom, joy, passions, and for making me laugh. And thanks for supporting me when I needed it most. It is now time to enjoy our holidays, cycling in Spain, with family and friends in the Netherlands, France, Ireland, England, Albania, and Greece. We will be back in Rotterdam in 2019! Happy Holidays! Merry Christmas and a Happy New Year to all! On 11 December 2018, the proposal to establish the Netherlands Commercial Court (NCC) was finally approved. It had passed the House of Representatives (Tweede Kamer) already on 8 March 2018. It was scheduled for adoption by the Senate (Eerste Kamer) soon after and we optimistically reported that it was realistic that the NCC would open its doors in 2018. However, further debates on the need for and the modalities of this court arose, and the voting was postponed. We are excited that the proposal has been adopted finally, and that the NCC will open its doors in 2019. See our blogpost on conflictoflaws.net for more information. 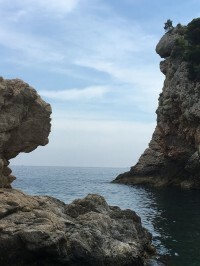 Georgia Antonopoulou is writing her PhD on international business courts, and in 2019 a special issue of Erasmus Law Review and a book dedicated to international business courts in a European and global perspective will be published. On invitation Jos Hoevenaars attended the 7th annual Civil Justice Council National Forum on access to justice for those without means taking place in London on 7 December 2018. The full day forum brought together members from across the British advice and pro bono sector, courts and tribunals, government, the legal profession, universities (UK and abroad), charities, foundations and institutions to discuss the current state of the legal aid sector in the jurisdictions of the United Kingdom. The day saw some 20 different speakers as well as several in-depth breakout session in which divergent subjects such as funding, technology, the need for data collection and analysis, and the intersection between legal needs and mental health were discussed among the over 200 participants in more detail. On Thursday 29 November in Trier (Germany), Alexandre Biard presented latest policy discussions on ADR/ODR and collective redress in the EU to more than 50 judges and prosecutors coming from all over Europe. 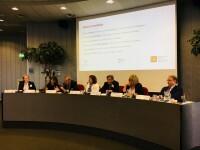 This took place in the context of the event ‘consumer protection within Europe – the role of the national judge when applying consumer rights and Law’, jointly organised by the European Judicial Training Network (EJTN) and the Academy of European Law (ERA). 60 years New York Convention. At this very interesting conference roundtables were organized around the Brussels Regime, Civil Justice Cooperation after Brexit and the New York Convention. Xandra participated in the roundtable on the Brussels Regime, highlighting the achievements for businesses and citizens of this key instrument in international litigation. Happy 50th anniversary Brussels Regime! Happy 60th anniversary New York Convention! On 27 November 2018, Xandra Kramer gave a brief presentation on the work of the Structure working group of the ELI-Unidroit project on European Rules of Civil Procedure. The work of this group is to consolidate the drafts of the different working groups in this project and to ensure the combined efforts result in a coherent set of European rules on ciil procedure. This two-day conference in Trier was jointly organized by the European Law Institute and the European Law Institute to discuss topical issues and ongoing work of the project. Access to civil justice is of paramount importance for enforcing rights of citizens and ensuring the rule of law. 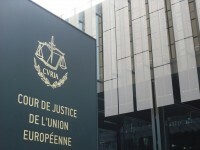 Key issues in the current efforts to improve access to justice at the EU and national levels regard the digitisation of justice and the use of artificial intelligence in dispute resolution, the privatisation of justice and the multiplication of alternative dispute resolution schemes, the increased possibility of self-representation, and the ever-increasing specialisation of court systems. Each of these trends greatly influences the emerging EU civil justice system but also raises a number of questions and doubts. 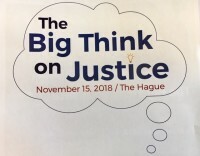 On 19 and 20 November 2018, policymakers, practitioners, academics from all over Europe will meet in Rotterdam to exchange and reflect on innovating pathways to civil Justice. Together, we will work on defining a sustainable framework for a 21st century EU civil justice system. The flyer can be found here. More information about the programme is available here. Young researchers will also have the possibility to present and discuss their work during a Poster Presentation that will take place on Tuesday 20 November. Posters should focus on the topics of the conference, and show originality. Legal Aid Reform in the Netherlands: Laspo 2.0? On 9 November 2018, the Dutch Minister of Legal Protection Sander Dekker presented his plans for the overhaul of the Dutch system for subsidized legal aid. 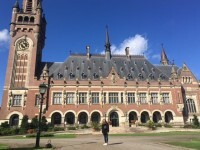 The proposal follows closely one of the aims of the current Dutch government to stimulate out-of-court dispute resolution, and steers significantly towards pre-judicial triage, (online) information and advice, and out-of-court settlement. Jos Hoevenaars draws a parallel between the proposed changes and previous reforms in in England and Wales following the Legal Aid Sentencing and Punishment of Offenders Act (LASPO) of 2012 on conflictoflaws.net. On 4 October, Xandra Kramer gave a presentation on the future of the harmonization of civil procedure in Europe at the European Civil Procedure Conference in Milan. She discussed the overriding aims of EU Civil Justice (improving access to justice), the dangers of the multi-regulatory system, the interaction between national and European civil procedure, ongoing harmonization project (including the ELI-Unidroit Rulesl of European Civil Procedure), and the big challenges in the harmonization of civil procedure in Europe, including the question of how far Europeanization can and should go. On 28 September, Xandra Kramer gave a presentation at conference hosted by the European Court of Justice and the MPI Luxembourg celebrating the 50th anniversary of the European Law of Civil Procedure in Luxembourg, entitled 'The application of the European law of civil procedure in the dialogue between the CJEU and national courts.' She discussed the multi-regulation and multi-methodology of European civil procedure and the impact on the application by national courts and the dialogue between the CJEU and national courts as institutionalized by the preliminary reference procedure on the basis of statistics on the area of freedom, security and justice, and civil matters in particular. These show the huge differences between the Member States. For example, Germany alone referred more cases to the CJEU than did the nineteen Member States with the combined lowest rates. She gave recommendations on how the the dialogue can be improved. On 10 July 2018, the seminar Innovating International Business Courts: A European Outlook was held at the Erasmus School of Law. It was the first big event within our ERC consolidator project Building EU Civil Justice. In total five speakers and seven panellists from the Netherlands, England, France, Germany and Belgium discussed their existing and recently established international commercial courts or initiatives to establish such a court of court chamber (see the seminar flyer). 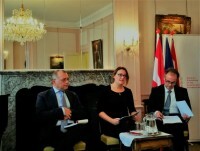 The sometimes heated debates evolved around the need to establish such courts for international business, the court design and procedural innovations, using English as the court language, the challenges for the judicial system, and the (potential) competitiveness of these courts, also in view of the exit of the UK from the EU as well as the need for collaboration in Europe. Approximately 100 participants from almost twenty European and other countries (including China, South Korea, Iran, and the United States), including judges, practising lawyers, academics, policy makers and business representatives, actively took part in the discussions. These discussions continued during the drinks where four selected PhD candidates presented their poster on a topic relating to international commercial courts. Papers authored by the speakers and a number of additional papers, selected following a call for papers, will be published in the Erasmus Law Review mid-2019. In addition, a book will be prepared for publication in 2019. Both will not only cover the recent European developments but will take a global perspective. The seminar was organised by Erasmus School of Law (ERC project ‘Building EU Civil Justice’) of Erasmus University Rotterdam, in collaboration with the Max Planck Institute for Procedural Law Luxembourg, and the Montaigne Centre for Rule of Law and Judicial Administration (Utrecht University). On 10 July 2018, a seminar will be held on international business courts. On 1 July 2018, or soon thereafter, the Netherlands Commercial Court is expected to open its doors, while in a number of other Member States similar initiatives are being undertaken or a specialized commercial court is firmly rooted already. These courts are of significant importance to international business litigation, offering tailor-made procedures (including the option to litigate in the English language) and providing an alternative to arbitration. Eminent speakers from the Netherlands, England, France, Germany and Belgium will discuss these initiatives, the novelties in the court administration and procedural rules, exchange views on the impact on international commercial and complex litigation, and reflect on the challenges ahead. The seminar will bring together practitioners, academics, business representatives and policy makers from European countries and beyond. The flyer can be found here. More information on the programme and registration is available here. We have many registrations from all over the world already. Please register as soon as possible. From 11 June till 13 June, Xandra, Erlis, Georgia and Emma attended the UCL International Conference on Access to Justice and Legal Services in London, hosted by Centre for Empirical Legal Studies. Participants included international researches, policy makers and legal service professionals and came from all across the world from Brazil to the USA and from Australia to Norway. Xandra chaired two sessions. The first was on litigants in person, including from the UK and the US on how to support litigants in person and and about pro se litigation in US federal courts. The second one was on ‘Legal aid eligibility’, including presentations on the assessment of the merits of the case in legal aid under ECHR case law and a comparative analysis on eligibility criteria. Erlis chaired a session on ‘Profession’. The panel included presentations on a pilot for specialist legal aid panels in Taiwan, and on an economic analysis of the benefits of early legal advice. The panels led to evolving discussions and insights on how other countries worldwide deal with access to justice issues and provided the opportunity to enter into dialogue on recent developments and innovations. We gained much inspiration and made interesting connections which we will use to build further on our EU civil justice project. We also made use of our stay to visit the Royal Courts, where we had a very fruitful meeting with Sir Ryder (Senior President of Tribunals) to aid our empirical research in England. Three ERC members (Xandra Kramer, Erlis Themeli and Georgia Antonopoulou) in collaboration with other members of our department (Alina Ontanu, Marta Kolacz, Priskila Penasthika) coached the Erasmus Law School team in the Pax Moot Court on Private International Law. In this picture our students Despoina Mouridi, Melvin Hanswijk, Benedicte Mourisse and Emma Ustunalp (from right to left) are happily posing to Xandra’s photographic lens before the Peace Palace in The Hague. They have just won the second place in the finals. These four students were selected to represent ESL in the first global Pax Moot competition. Together with their coaches they the students studied and intensively prepared the ‘case’. It concerned a civil action claiming damages for environmental damage in Bolivia allegedly caused by a Dutch group of companies. Furthermore, the ‘case’ involved parallel proceedings before different EU courts, investment arbitration proceedings, and raised issues of collective actions before the Dutch courts. On 22 May 2018, the ESL Pax Moot Court team visited the International Chamber of Commerce in Paris and pleaded against the team representing the Université Libre de Bruxelles. Following the successful preliminary round in Paris, the team won the semi-finals against Paris I Sorbonne in The Hague. In the finals the Erasmus team encountered the Sciences Po students. Both teams pleaded for the first prize with creativity and inspiring enthusiasm. As the presiding moot judge (Hans van Loon, former Secretary General of the Hague Conference on Private International Law) explained, after long deliberations the scale finally tipped in favour of our French opponents. Nevertheless, our students Melvin Hanswijk and Despoina Mouridi received special commendations from the jury for their pleading skills and Melvin was offered an internship with the law firm NautaDutilh. We would like to thank the students for their remarkable effort and commitment, and hope that this moot experience will remain a beautiful memory helpful for their future career. It was great coaching you! On 31 May, Georgia Antonopoulou and Emma van Gelder participated in the annual Review day, organized by the Erasmus Graduate School of Law. During this event all first year PhD researchers had the opportunity to present their research to the academic staff. Georgia and Emma gave a pitch on their PhD research on international commercial courts and ODR, followed by a discussion. All in all, it was an inspiring review day! The formal evaluation of the first year accomplishments will follow in the next months. Several members of the ERC team (Georgia Antonopoulou, Xandra Kramer and Erlis Themeli) together with other members of the private law department (in particular Alina Ontanu, Marta Kolacz and Priskila Penasthika) supervised the Erasmus moot team competing in the private international law Pax Moot organized by Sciences Po Paris. The elimination round took place at the ICC in Paris on 22 May 2018 and the Erasmus team made it to the finals. Congratulations to our mooties (FLTR) Emma Ustunalp, Benedicte Mourisse, Despoina Mouridi (lead counsel in Paris), and Melvin Hanswijk! The problem concerned a climate change case adressing a range of complex transnational litigation issues. The final round will take place at the Peace Peace in the Hague on 1 June 2018. On 24 May 2018 an expert roundtable took place at the Erasmus University Rotterdam entitled ‘The use of artificial intelligence in legal decision-making’. This Roundtable was organized by Dr. Erlis Themeli, Dr. Stefan Philipsen, and Prof. Evert Stamhuis with the support of the Erasmus Initiative Dynamics of Inclusive Prosperity. The experts attending the event came from the legal practice, government, academia, and ICT sector. The aim of the roundtable was to map the developments in and research on the use of AI in legal decision-making, and to outline a research agenda for the near future. Prof. Stefano Puntoni (Rotterdam School of Management) and Prof. Xandra Kramer were invited to provide some ‘food for thought’ for the participants and to contribute to the discussion. AI is one the frontiers of the digitalization of justice. It has the potential to increase access to justice and to improve the position of vulnerable parties. However, AI remains complex and its use in the application of justice carries the risk of creating a ‘black-box’ without transparency or accountability. As was pointed out in the Roundtable, the use of AI in legal decision-making creates legal, economic, as well as ethical dilemmas. What would happen if the judge is a machine? Is there a right to a human judge? What is the added value of a human judge? Is it possible to fully comprehend the decisions of a machine? These questions form the outline of a future research agenda into the use of AI in legal decision-making. Considering the success of the event, the organizers plan to develop a theoretical framework and to design an empirical research on the reception of automated decision-making by court users. Erasmus School of Law (under the ERC project Building EU Civil Justice) in collaboration with the Max Planck Institute for Procedural Law Luxembourg, and the Montaigne Centre for Rule of Law and Administration of Justice (Utrecht University), hosts the seminar ‘Innovating International Business Courts: A European Outlook’ that will take place in Rotterdam on 10 July 2018. In relation thereto Erasmus Law Review invites submissions for its upcoming special issue on International Business Courts – A European and Global Perspective on topics relating to court specialization, specifically relating to the development of international business courts in Europe and beyond, and focusing on justice innovation and their relevance for access to justice and the judicial system, including the challenges they may pose for judicial administration, litigants and other stakeholders. Contributions can be theoretical, empirical as well as policy oriented. Interdisciplinary approaches are especially encouraged. The issue will also include papers focusing on the Netherlands, the United Kingdom (England and Wales), France, Germany, and deriving from the seminar. Please submit an abstract in English of no more than 500 words to Erlis Themeli (themeli@law.eur.nl) and Alexandre Biard (biard@law.eur.nl) before 10 June 2018. Include your name, affiliation, and a link to your research profile. You will be informed on the outcome on 24 June 2018 at the latest. Responsible issue editors are Xandra Kramer (Erasmus University Rotterdam/Utrecht University) and John Sorabji (University College, London). 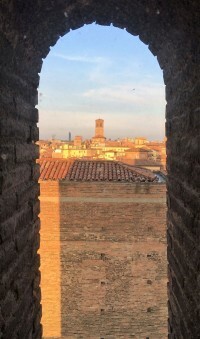 Xandra Kramer presented on online dispute resolution ('ODR: Advancing Digital Justice in Europe and some lessons from the Netherlands) at a Cyberjustice workshop organized by CNR-IRSIG in Bologna on 10 May 2018. The presentation focused on the EU digital agenda, the policy to encourage and facilitate the use of ICT in various instruments on cross-border litigation, and the first year of experience with the ODR platform. In addition, she addressed the present situation in the Netherlands, the ambitious agenda to implement digitisation within the context of the Quality and Innnovation of Justice Program, and the recent problems encountered. See also our news item on the deadlock in the digitisation of the Dutch judiciary. On 10 July 2018, a seminar will be held on the establishment of international business courts in a number of Member States. It aims to discuss these initiatives, in particular the novelties in the court administration and the procedural rules; to exchange views on the possible impact on international commercial and complex litigation; and to reflect on the challenges ahead. The seminar will bring together practitioners, academics, business representatives and policy makers from different Member States. On 30 March 2018, at the age of 87, Prof. Marcel Storme passed away in his beloved home city of Ghent. Over and above his many other professional capacities, he was primarily professor emeritus of civil procedure at the University of Ghent, and honorary president of the International Association of Procedural Law. His visionary work in the field of civil procedure and his passion for the harmonisation of procedural laws in Europe remain of immeasurable value. Professor Storme, in my 2012 inaugural lecture, I called you one of the founding fathers of European civil procedure, and referred to your ‘cathedral builder’s dream’ (Riksumeikan Law Review, 2005). In the same lecture, I also thanked you for being a tremendous source of inspiration. And that is precisely what you have been, and will continue to be. From the beginning, you supported me every step of the way along the path of my career − sometimes visibly and other times behind the scenes. You were present at my inaugural lectures in Rotterdam and Leuven, and at the procedural law conferences I organised in Rotterdam; and you were never more than an email away whenever I needed to call upon you. You were so proud when the endowed chair on European civil procedure − now merged with a permanent chair within the private law department − was established in Rotterdam. I cherish the collection of mostly handwritten letters, the kind notes in the books and paper extracts you gave to me, and every occasion of your personal encouragement over the years. You wrote that not only do I fuel the flame of European civil procedure but academically I also keep it burning. Dear Professor Storme, dear Marcel, together with my ERC team and our wonderful group of international colleagues and friends (your 'biotope'), I will keep alive your dream of building upon civil justice in Europe. Thank you so much for all you have done for me and for so many others. I can end this tribute in no other way than in the four languages you used so easily and interchangeably in your talks: rest in peace – repose en paix – rust in vrede – ruhe in frieden. On 8 March, the bill on the establishment of the Netherlands Commercial Court (NCC) was passed by the House of Representatives (Tweede Kamer). The bill is now scheduled for rubber-stamping by the Senate (Eerste Kamer) on 27 March 2018. The NCC is expected to open its doors on 1 July 2018 or shortly after. Xandra Kramer, Erlis Themeli and Georgia Antonopoulou prepared a short post (and update) for conflictoflaws.net, which has also been published on the website on European Civil Procedure. The establishment of the NCC is particularly important for the subproject Court Specialization, which is conducted by Georgia Antonopoulou. Xandra Kramer and Jos Hoevenaars will host a panel at the Self-Represented Litigation Network Conference 2018 in San Francisco on 22-23 February. This part of our research, primarily conducted by Jos, will scrutinize self-representation trends against the backdrop of access to justice. It focuses on how self-representation changes procedural dynamics between courts and parties as well as the repercussions for the effectiveness of litigation and procedural justice as components of access to justice. The panel, with a roundtable format, aims to bring together researchers and practitioners from different jurisdictions, to foster cross-Atlantic ties and collaborations, and provides an opportunity for the exchange of insights and experiences. Join us in San Francisco on 23 February! Recently, there has been a lot of criticism on e-Court including in a recent Dutch television program ‘Nieuwsuur’. E-Court is a private initiative of online dispute resolution in the Netherlands. Emma van Gelder wrote a blogpost on e-Court, in which she acknowledges and discusses the criticism. Next to the criticism, she sets out the key benefits of a system of online dispute resolution. On 9 January 2018, Alexandre Biard participated in a conference hosted by the French energy Ombudsman (Médiateur de l’énergie) with key stakeholders from European and French consumer ADR sectors: representatives of the Commission d’Evaluation et de Contrôle de la Médiation (the authority in charge of certifying and supervising consumer ADR providers in France), various European ombudsmen and mediators, consumers associations, officials from the Ministry of Justice, and academics. Together, they reviewed and assessed the development of consumer ADR, two years after the implementation of the Consumer ADR Directive in France, and drew some comparisons with the experience acquired in several other Member States. On 1 January 2018, Xandra Kramer joined the editing board of the Netherlands International Law Review (NILR). NILR was established in 1953 and is one of the world’s leading journals in the fields of public and private international law that publishes peer-reviewed, innovative and challening articles. A few months earlier, after nine years, she stepped back as the editor-in-chief of the Dutch journal Nederlands Internationaal Privaatrecht, but she continues to be a member of the editorial board. On 24 November 2017, Xandra Kramer, Emma van Gelder and Erlis Themeli presented their work on the digitalization of justice at the Ius Commune Conference (workshop on civil procedure). The presentation prepared by Erlis focused on general aspects of the digitalization of justice. Xandra discussed the digitalization resulting from the Dutch Quality and Innovation of Justice program. Emma concluded with a presentation on Online Dispute Resolution, discussing private initiatives on digitalization in out-of-court dispute resolution and developments at the EU level concerning ADR/ODR. Subsequently, Xandra and Emma participated in a panel discussion, receiving interesting questions from the audience and resulting in vivid discussions generating fruitful insights. The Netherlands is one of the pioneers in digitalisation worldwide. Next to the implementation of the Quality and Innovation project (KEI) within the courts, digitalisation is increasingly taking place in out-of-court dispute resolution. Emma van Gelder discusses two well-known examples of private initiatives of digitalisation in the Netherlands and subsequently assesses the online tools against the background of access to justice. On 22 November 2017, Xandra Kramer and Jos Hoevenaars presented the ERC project at the Erasmus-Queen Mary Dialogues meeting at Queen Mary University London. Xandra presented the background, objectives, and challenges of the project. Jos zoomed in on his postdoc project on self-representation, benefitting from two meetings he had with English experts on the day before. We received valuable feedback from commentator Eva Nanopoulos (Queen Mary) and other participants. On 14 October, Xandra Kramer gave a lecture and workshop for members of the EUROJURIS INTERNATIONAL Litigation, ADR & Contracts Practice Group, on the ocassion of the 25th anniversary of Eurojuris (a leading network of law firms) in Brussels. She presented new developments in the area of international commercial litigation and ADR in Europe and discussed the consequences of Brexit for international litigation in Europe. Recently, the Dutch approach to the resolution of mass claims, including the Mass Claim Settlement Act (WCAM), has been criticised by the US ILR for failing to comply with the European Commission’s 2013 Recommendation on Collective Redress, and therefore being particularly prone to abuses. In response to this, Xandra Kramer and Alexandre Biard in collaboration with Ilja Tillema wrote a blogpost calling for a more nuanced approach, and stressed that it remains of the utmost importance that both drawbacks and benefits of collective redress mechanism be thoroughly addressed and assessed. On 14 June 2017, the First Chamber of the CJEU delivered an interesting preliminary ruling (case C-75/16, Menini & Rampanelli v Banco Popolare – Società Cooperativa) bringing in new insights on the admissibility of compulsory mediation procedures in the EU. Alexandre Biard wrote a blogpost on the case and implications of the ruling here. On 1 September 2017, the ERC project team had its kick-off meeting, discussion content, organization and strategy of the project. The team consists of three postdocs, Erlis Themeli, Alexandre Biard and Jos Hoevenaars and two PhD candidates, Emma van Gelder and Georgia Antonopoulou. Kyra Hanemaayer has been appointed as student assistant to support the project team. Go to team for more information on the project team. On 23 June 2017 Xandra Kramer gave a presentation on 'Digitalization at full speed: Innovating justice in the Netherlands' at a conference organized by the EBS Law School in Wiesbaden dedicated to the 'Digital Single Market: Bausteine eines Digitalen Binnenmarktes'. The paper will be published in a conference volume in 2018.